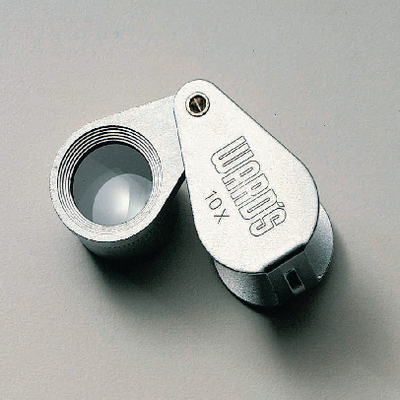 This doublet lens system at 10X provides sharp magnification. The magnifier in a metal folding frame and lens holder slips into a vinyl carrying case with snap closure that accommodates a lanyard. Size:1¼"Lx¾"Wx5/8"H folded,2¼"L extended. Lens size:½"dia.